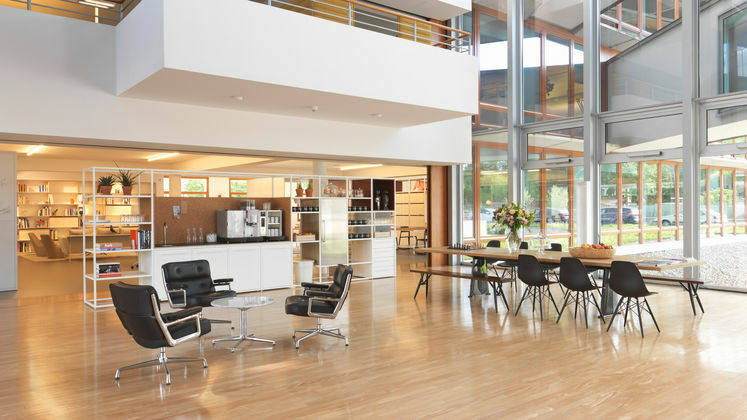 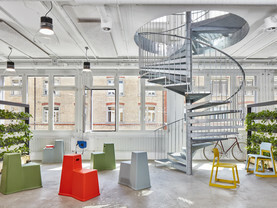 In 2015 Sevil Peach implemented another office concept entitled Studio Office at the Vitra Center, the company headquarters designed in 1994 by Frank Gehry. 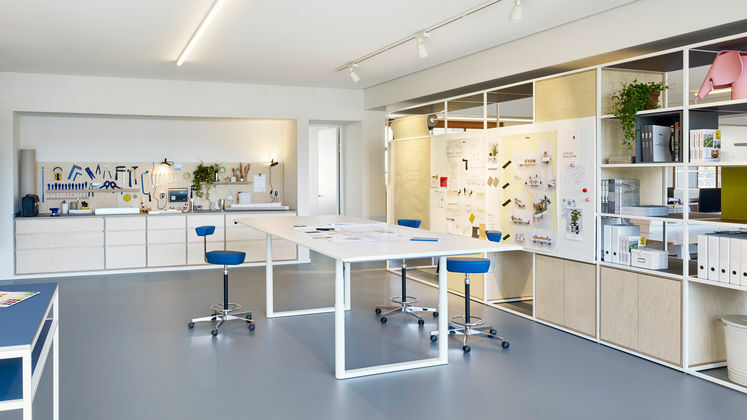 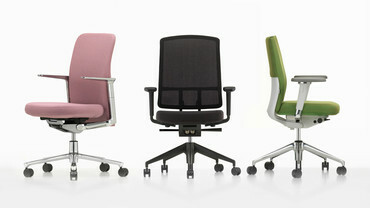 The goal of the project was to create a studio atmosphere that reflects Vitra’s creative spirit. 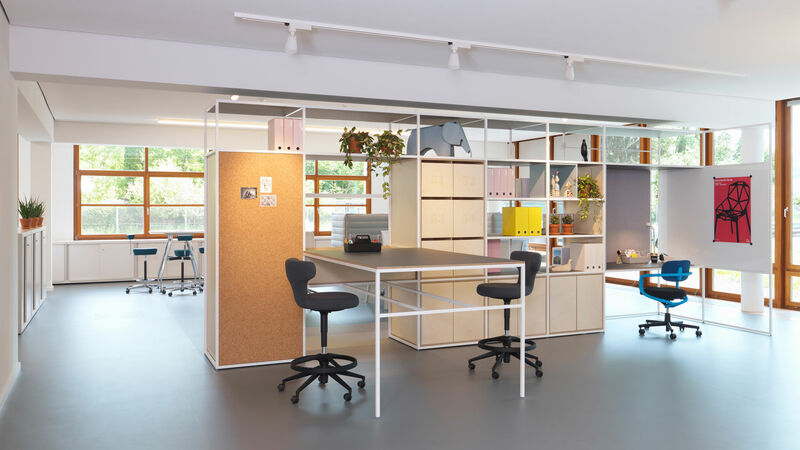 The open space is divided into five neighbouring clusters – or studios. 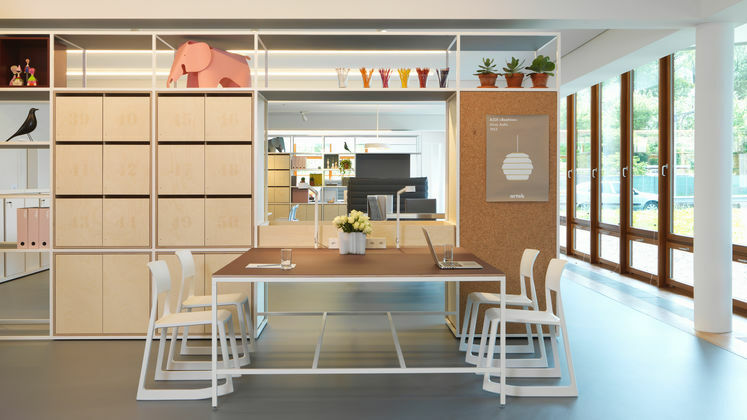 The Business Club forms the heart of the office – with a library and large table that can accommodate several groups of users. 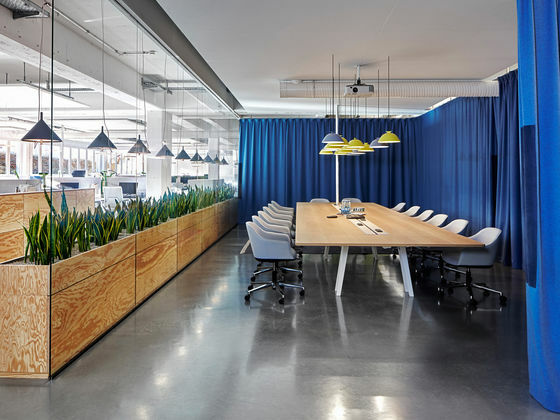 The table is surrounded by a series of booths that provide places for retreat or meeting areas. 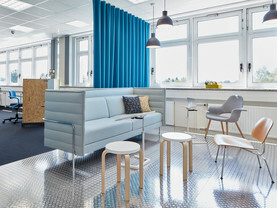 The overall layout facilitates communication amongst employees – and with the management, which also shares the open office.